Can you believe that you can make these Easy Peanut Butter Cookies with only four simple ingredients? This is a great recipe for the beginner baker or busy mom. I hope you enjoy them! Also, if you love easy recipes like this be sure to check out my Cake Mix Sugar Cookies or 3-Ingredient No Bake Peanut Butter Bars. Step 2: Cream peanut butter and sugar until fluffy. Step 3: Add egg and vanilla. Beat well. Step 4: Spoon onto baking sheet and press with fork. Step 5: Bake for 12-14 minutes. Wait until they’re completely cool to move them or they will crumble. Enjoy! Cream peanut butter and sugar until fluffy. Spoon onto baking sheet and press with fork. Wait until they're completely cool to move them or they will crumble. These look yummy! Thanks for sharing the recipe! When I was buying jumbo eggs I found these cookies to have a better texture with more egg. So use less peanut butter and sugar per regular large egg. Taking it further, I always use less sugar in baking once I have tried the recipe. And I often add a couple TB oat or WW flour (I grind the old fashioned oats in a mini-food processor and keep it on hand to add to many items). Then add some mini chocolate chips to the cookie dough. Let set a few minutes to firm up enough to make into balls. Excellent cookie that was rated best by a 90+ year old when I was trying to find the ideal peanut butter cookie. (I use chunky PB too). 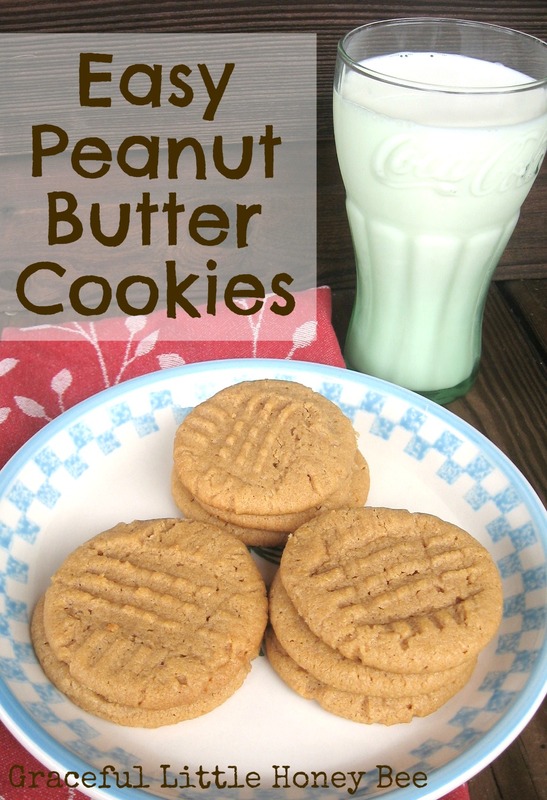 I have been using this recipe for years, they are the best peanut butter cookies ever. They are great for people that can't have gluten.